Although the author appears sold on the idea of trace gases controlling the temperature of planetary atmospheres, the discussion about planets and water is worth a look. The answer to the question may depend on more powerful space telescopes like the James Webb. Wherever we find water on Earth, we find life writes Elizabeth Tasker at Many Worlds. It is a connection that extends to the most inhospitable locations, such as the acidic pools of Yellowstone, the black smokers on the ocean floor or the cracks in frozen glaciers. This intimate relationship led to the NASA maxim, “Follow the Water”, when searching for life on other planets. Yet it turns out you can have too much of a good thing. In the November NExSS Habitable Worlds workshop in Wyoming, researchers discussed what would happen if you over-watered a planet. The conclusions were grim. Despite oceans covering over 70% of our planet’s surface, the Earth is relatively water-poor, with water only making up approximately 0.1% of the Earth’s mass. This deficit is due to our location in the Solar System, which was too warm to incorporate frozen ices into the forming Earth. Instead, it is widely — though not exclusively — theorized that the Earth formed dry and water was later delivered by impacts from icy meteorites. It is a theory that two asteroid missions, NASA’s OSIRIS-REx and JAXA’s Hayabusa2, will test when they reach their destinations next year. Tallbloke ==> As I’m sure you know, this topic, and nearly everything we can think of concerning the possibilities of life on other planets, has been thoroughly explored in the field of Science Fiction — mostly since about 1940. The “Water and life” connection seems based on the simple fact that Earth-life is based on water — all cellular organisms are “mostly water” — thus, there is little life without the water. 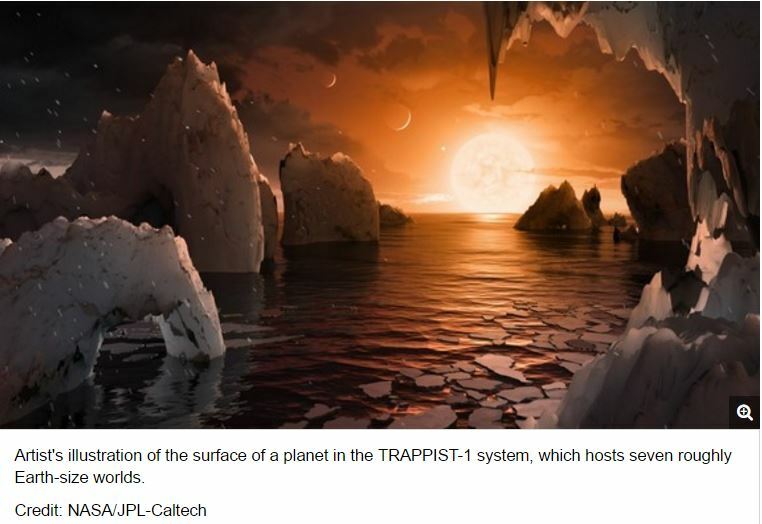 Other possibilities have been suggested in SciFi — but, of course, NASA and the exo-biologists are looking for Earth-type life. The “carbon pollution” meme is dumbing our kids down in modern schools — how can you teach that their bodies themselves are carbon heat engines, burning carbon for heat and energy producing CO2 and H2O, if you must insist that burning carbon is a great evil? Agung volcano eruption on 21.11.2017. This timelapse was shot on 25.11.2017 in Amed, East Bali. Around the time of 17:30 just before sunset. It was cloudy around Gunung Agung all day and this was the only window of opportunity to shoot a video to see what’s the activity as of right now.